Stryker is an education specialist, researcher, and evaluator who self-identifies as Michif (Metis; with Cree, Mohawk, French, and Scottish ancestry) from the Red River territory (now Winnipeg). As the most recent member of the GMCTE, he manages the Indigenous Voices program and supports faculty and staff who are strategizing and engaging in the process of Indigenization at the University of Saskatchewan. For the last ten years Stryker has actively engaged in working with and for Indigenous postsecondary programs, national institutes, schools, communities, and leaders to help build stronger and more impactful social programs for Indigenous and non-Indigenous people. 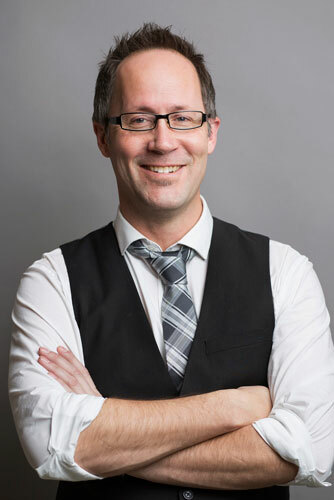 During this time he has been involved in developing clinical capacity and research support for people living with HIV in Saskatchewan, designed acculturation and cross-cultural training support for immigrant newcomers to Canada, implemented and assessed an Ontario Public Health child safety social media campaign, contracted with the Ontario Public Service to assess diversity and inclusion programming for twelve vulnerable employee populations, and participated as a member and representative on more than fifteen postsecondary boards, committees, and associations. PhD (2014) Sociocultural Applied Psychology, University of Guelph, ON. MA (2008) Social Applied Psychology, University of Saskatchewan, SK. BA Honours (2005) Social Psychology, University of British Columbia, BC.